Tuesday, January 10th, 2017 at 4:10pm. The hilarious, comedic play created by Mel Brooks 16 years ago is now coming to our local town of Jupiter! 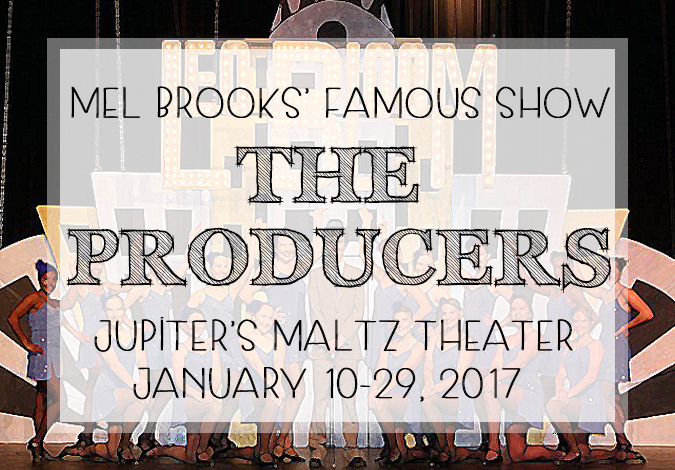 Yes, “The Producers” is coming to the Maltz Theater and it plans to bring some sassy, adult humor to its audiences. Brooks’ Oscar-winning show was adapted to Broadway’s golden stage, which transformed the show into a record breaking musical. The show combines a great sense of humor with an underlying “political satire” that may not be for all audiences. The show is full of powerful performers, amazing songs and sure to deliver a fun and borderline offensive (in a humorous way!) punch to its spectators.